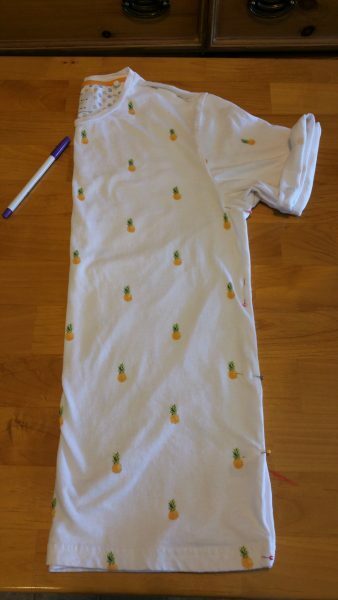 As always, I washed and dried my t-shirt before doing any work on it. I then designed my template in a word processing program and printed it out. 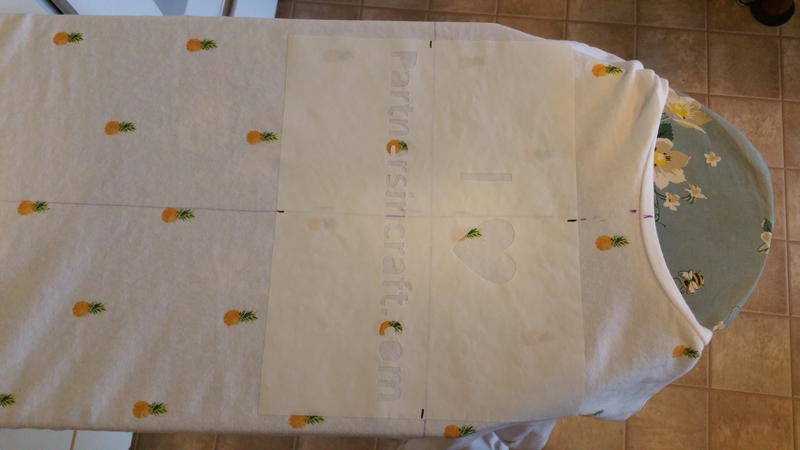 Next, I cut a sheet of freezer paper a little bigger than my template. 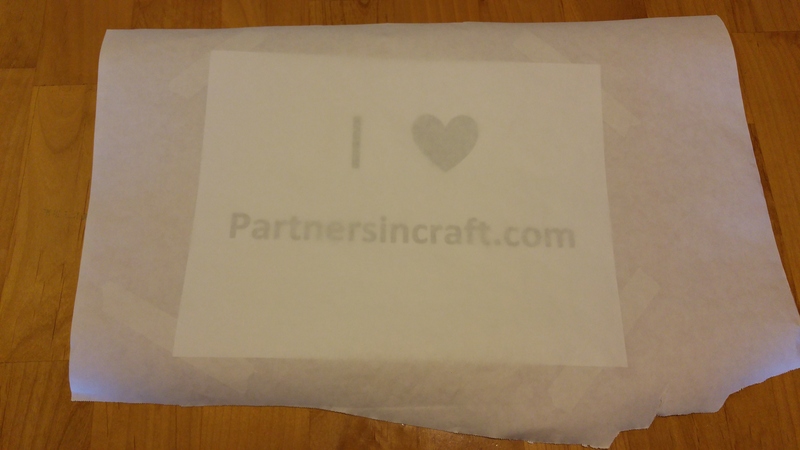 I laid the front of my template onto the SHINY side of the freezer paper. (The shiny side is what will eventually be ironed onto the fabric.) Recap: Front of template touches shiny side of freezer paper. 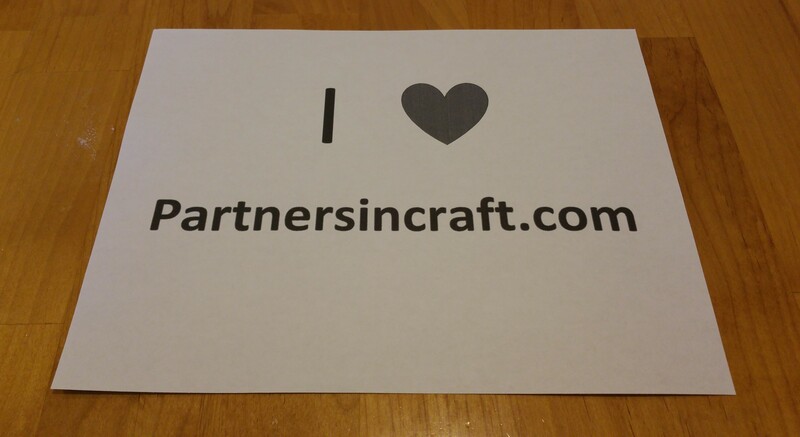 Next, I used an x-acto knife and scissors to cut out the shapes and words. 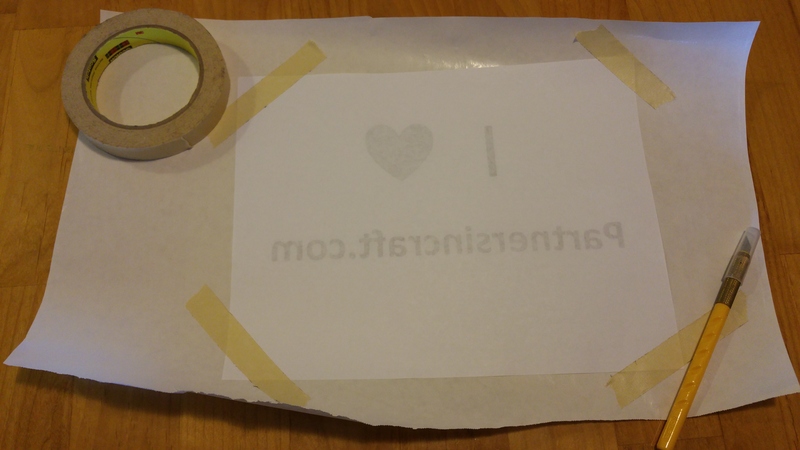 This takes patience, but a more accurate stencil will yield neater results. 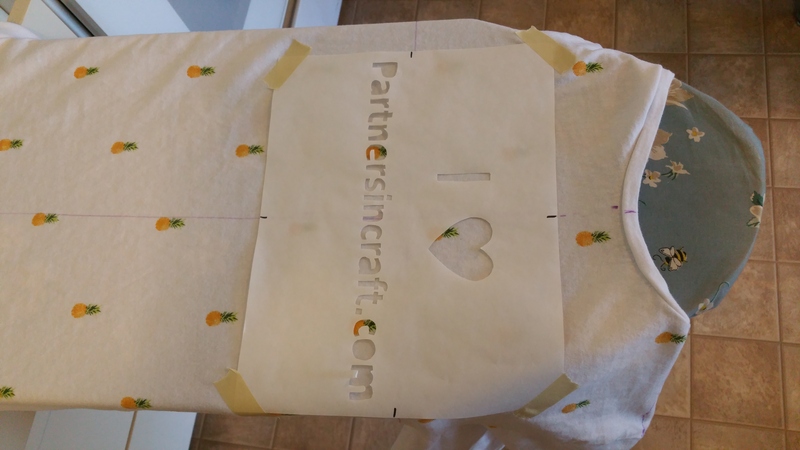 Be sure to save the small freezer paper cut-outs from letters like “o” and “a.” We will replace those shapes back into the letters when the stencil is ironed to the shirt. 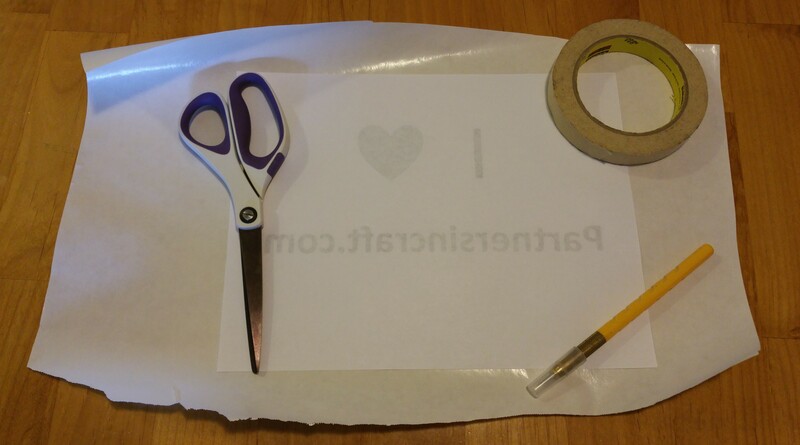 Once the words have been cut out, cut the freezer paper down to the size of the paper stencil behind it. Note: Don’t miss this step! 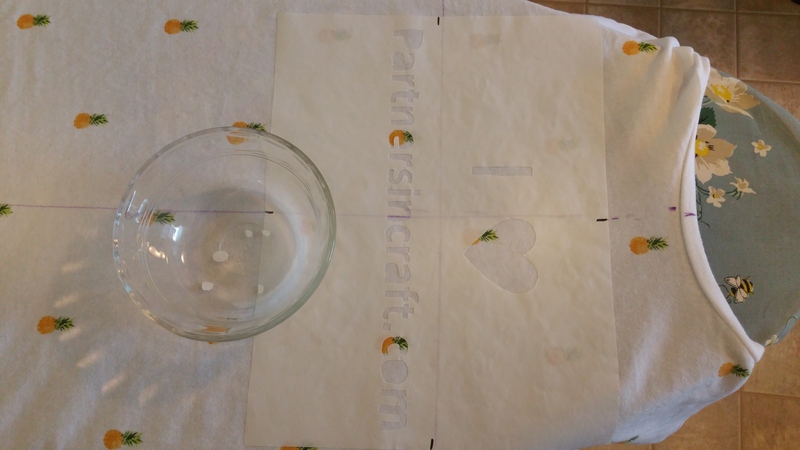 You will need the stencil to be a symmetrical shape for the next steps! 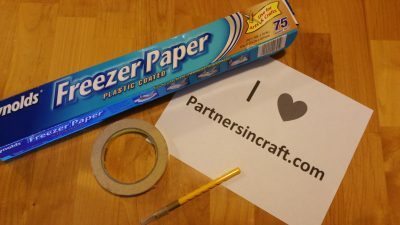 You can remove any left-over masking tape. 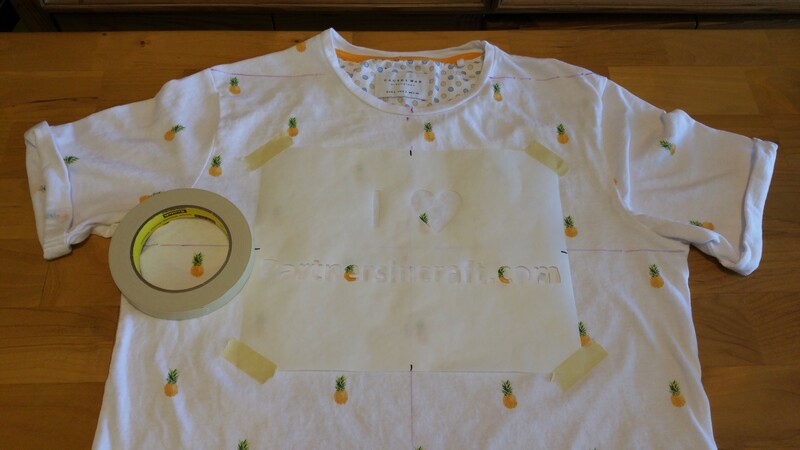 Lay the garment as flat and straight as possible so that you can create horizontal reference points. One way to do this is to place a rule from armpit seam to arm pit seam. Mark this line with the disappearing pen. 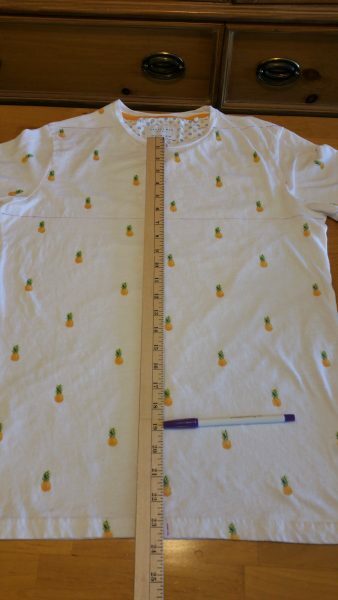 Another horizontal line can be drawn from the top of each shoulder seam. 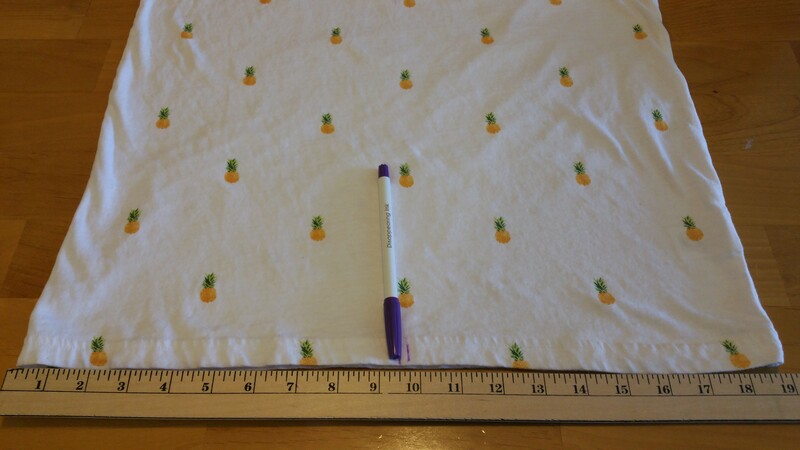 Next, measure the bottom hem and find the middle point. 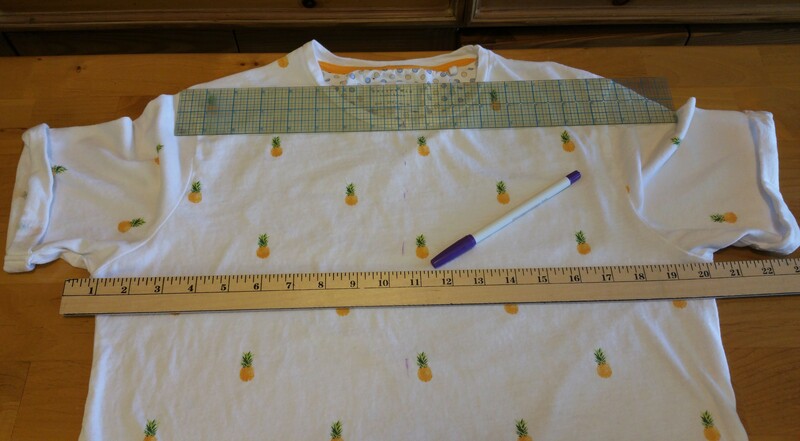 Place a ruler between this point and the center of the neckline to make another vertical reference line. This line may differ slightly from the one drawn when the shirt was folded in half and can help you double check its accuracy. 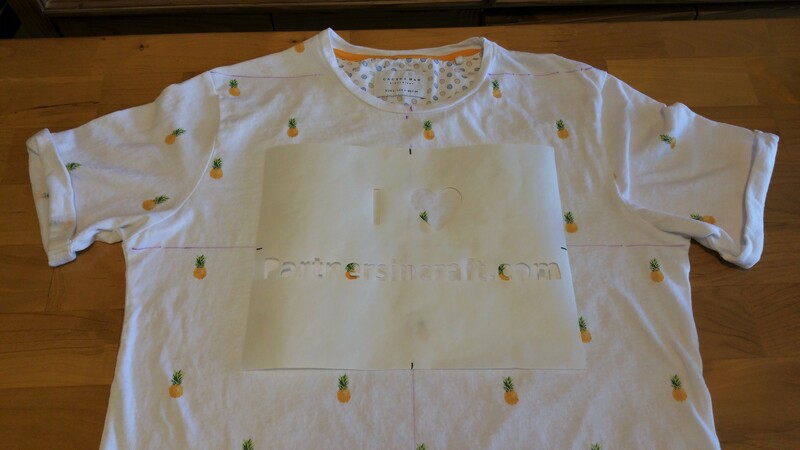 Use a little masking tape to secure the stencil to the garment in the correct orientation. 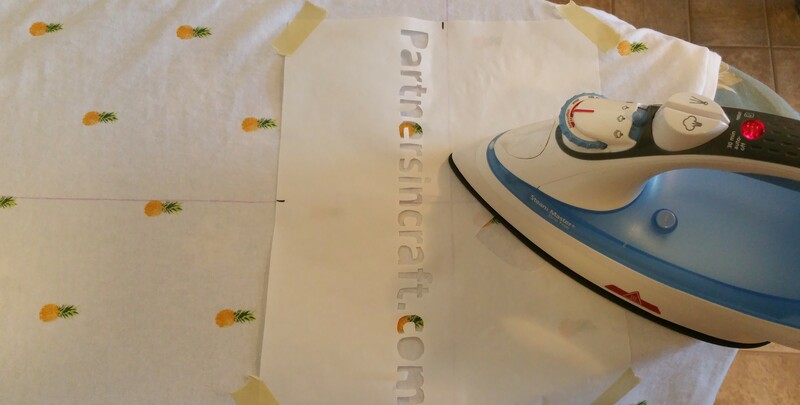 It’s finally time to iron the stencil to the shirt! I usually start ironing at one side of the stencil and work across. 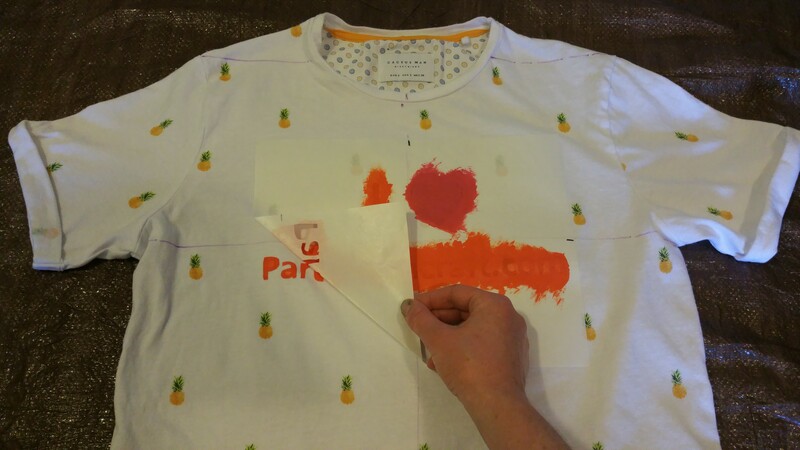 Once the stencil is secured in place, though, you can remove the masking tape so that you don’t accidentally iron it! Carefully iron down the edges of all the letters and shapes. You don’t want any paint to be able to leak under the edges of the stencil! 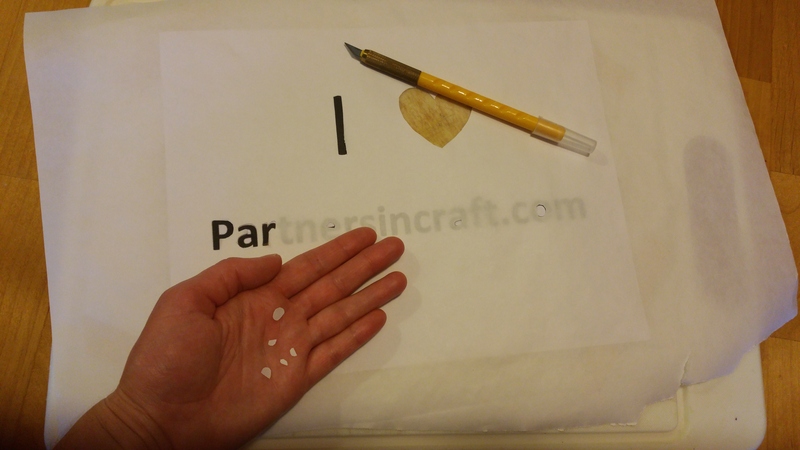 Once the letters are ironed down, add the small cut-outs that you saved from letters with inner shapes. 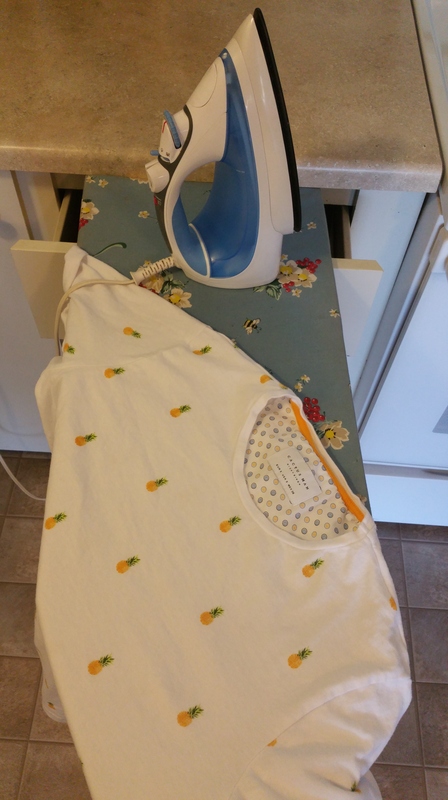 Place these shiny-side-down, then use the tip of the iron to gently iron them in place. Hurray! Now it’s time for painting! 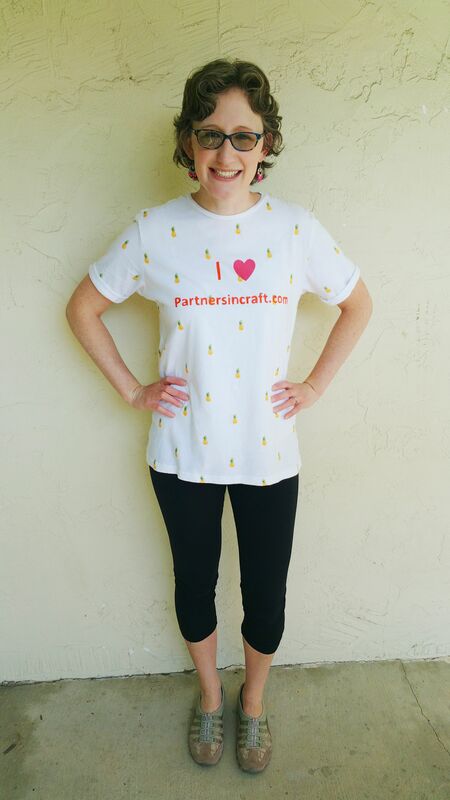 I use Soft fabric paint from Tulip, because this paint does not become bumpy or crunchy. 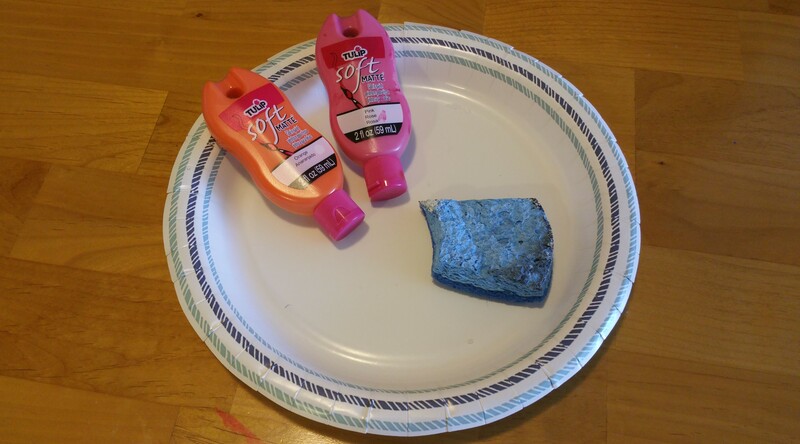 I applied the paint with one of my painting sponges, but a foam applicator would work nicely. 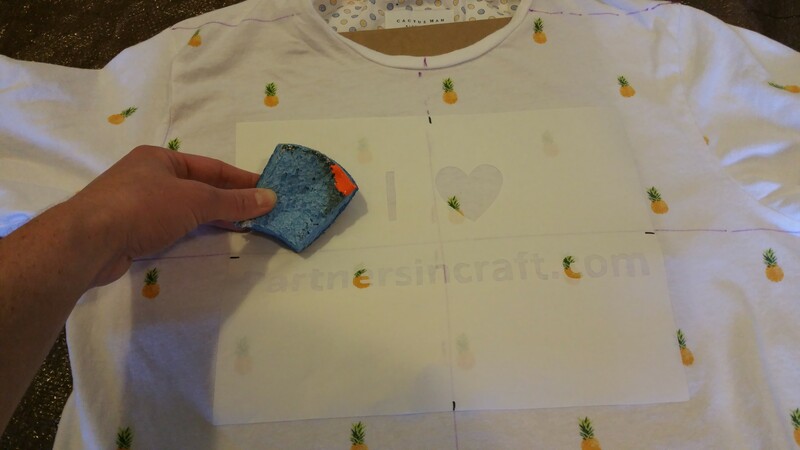 Before painting, line the shirt with cardboard, freezer paper, or wax paper to prevent the paint from bleeding through to the back of the shirt. 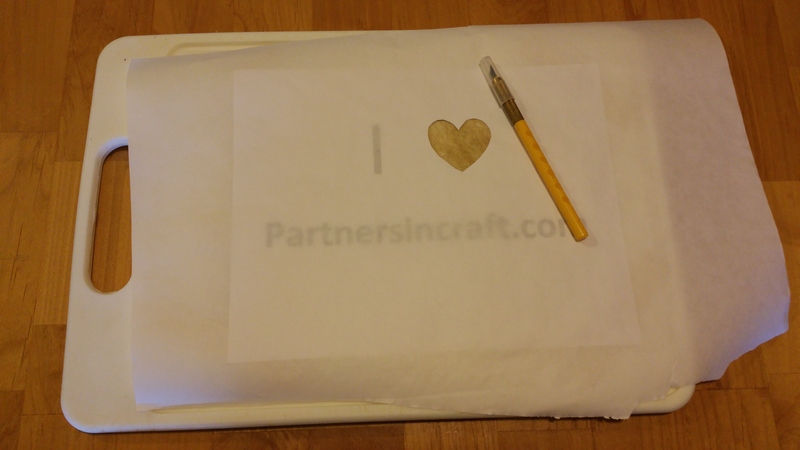 Of course, don’t forget to protect your work surface with a drop cloth! Sponge the paint all over the cut-outs of the stencil, making sure all the details are covered in paint. 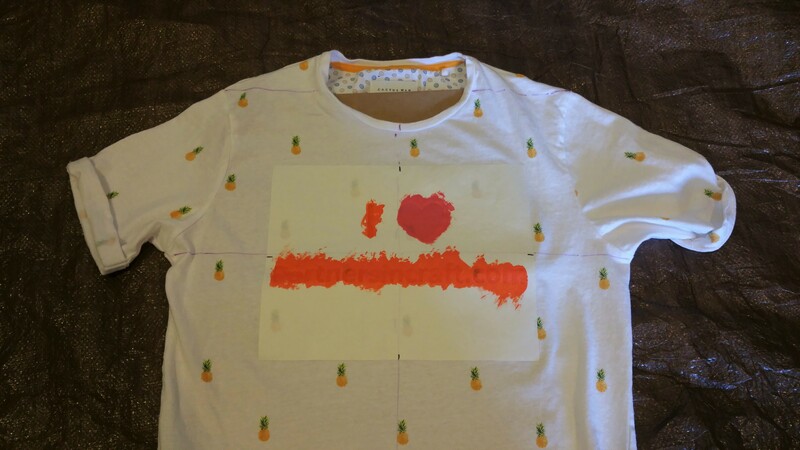 For my shirt, I let the paint dry for at least half before adding a second coat. I wanted to ensure that my letter would be opaque and vibrant. After waiting a several hours for the paint to dry, it’s time to remove the stencil! 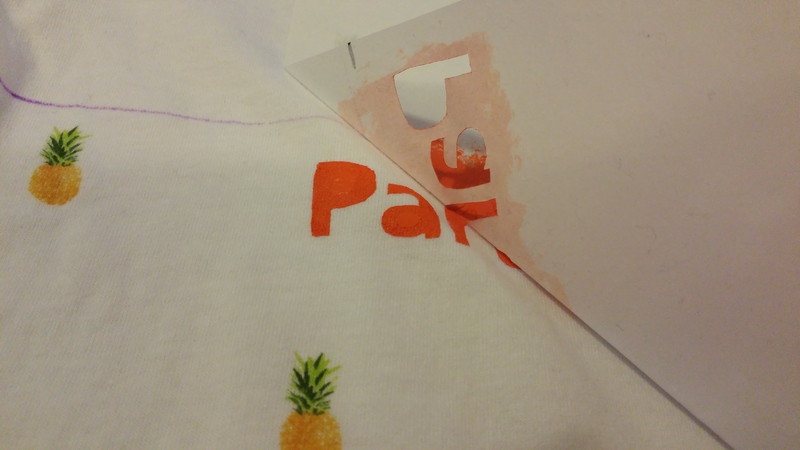 Carefully peal up the edges of the freezer paper and remove any small pieces! 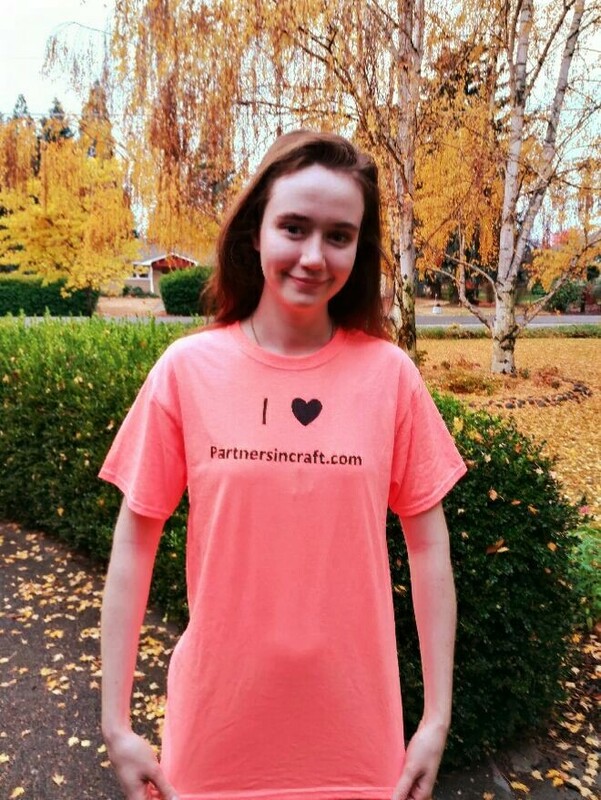 I was so excited about these shirts that I even made one for my husband! It was the least I could do considering all the photos he has taken for me! Of course, Lindee had to get in on the action too! 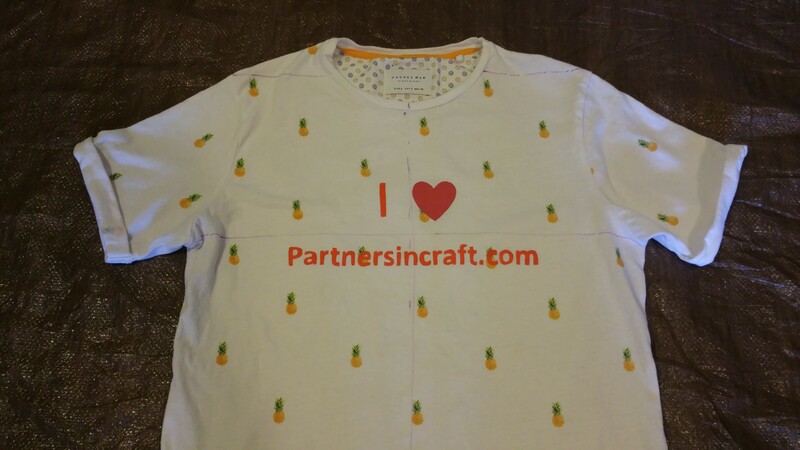 We heart custom shirts and Partnersincraft.com! 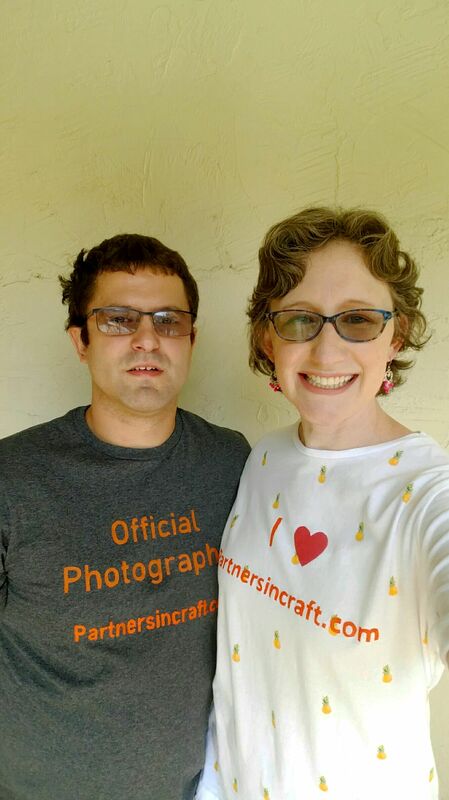 🙂 Happy Blogiversary! I love seeing photos of my GRAND PEOPLE!